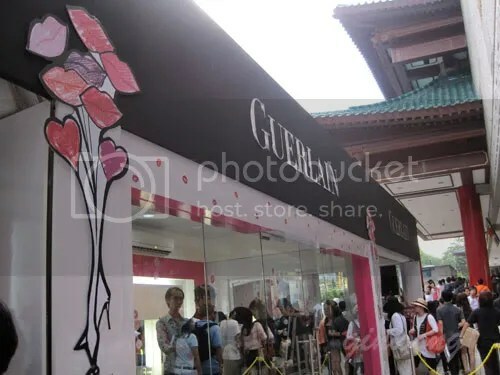 Right at Tangs Orchard Promenade, we have GUERLAIN Rouge Automatique Launch. 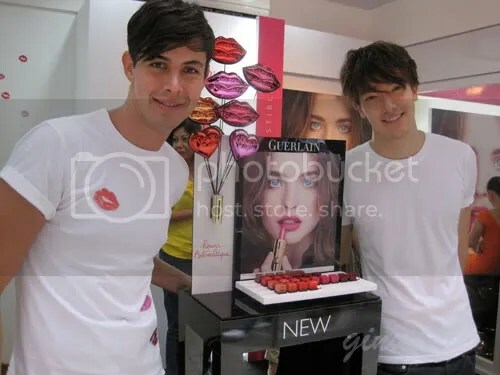 And Trey as the Fashion Stylist to dress up the daily LUCKY Winner for The Launch of GUERLAIN Rouge Automatique. Isn’t this a nice shade, It is 164. It makes the lip pouty and classy. From now till 2 June, Hop on to Tangs Orchard Promenade and get something for yourself! 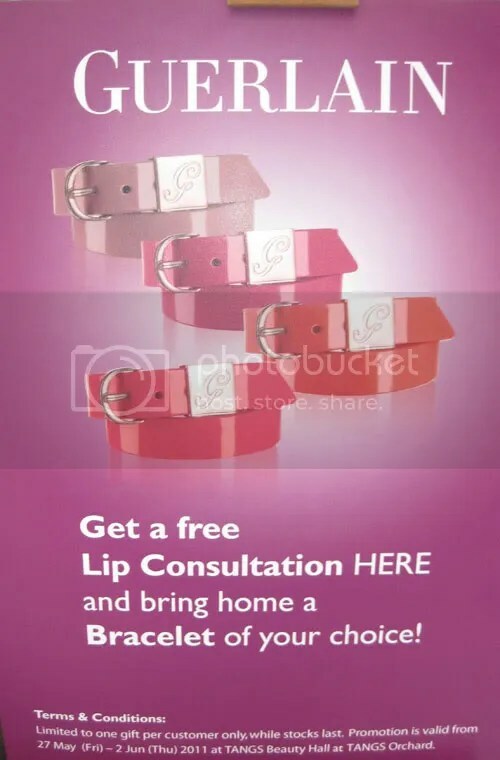 FREE Bracelet of your choice with any GUERLAIN Rouge Automatique Purchase . The most POPULAR shade for this season will be Champs elysees, while stock lasts! Grab them before they are gone! THE 1st Modern, Capless Automatic Lipstick that opens and closes with one hand! A light, fresh and fun lipstick that adorns the lips with pure, transparent crytal color. -A moisturizing second skin texture : sensorial oils combined with waxes to create an extremely fine film that fuses with the lips for impeccable coverage and maximum comfort. -Unique long lasting hold : a siliconed complex composed of a rich, non-sticky oil and a resin for exceptional shine, set color and a smudge proof lipstick. How do you choose your lipstick? Which shade of lipstick do you prefer? If you are still in doubt, easy, proceed to Tangs Orchard and try the shade yourself.